This post is not totally altruistic. These sites are wonderful as centers, and you can prepare ahead with a vocabulary list and a rubric to give them for self-assessment. I cannot say enough good things about this site. It has it all: vocab, games, worksheets, books…..everything. 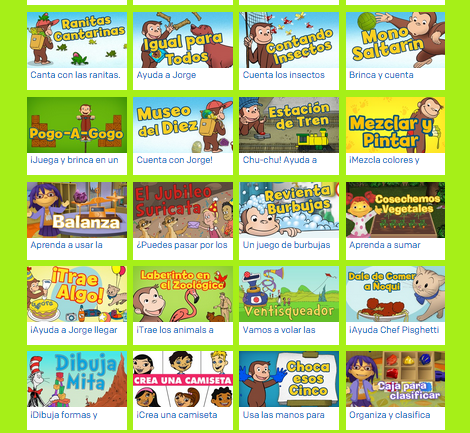 It also features holidays, special events, and causes such as Earth Day in Spanish. Give it a try! 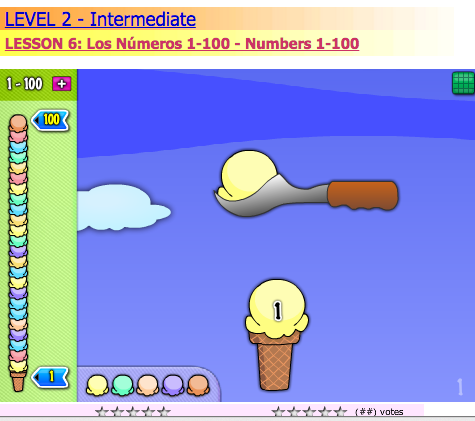 This one is awesome for teachers who are not native Spanish speakers and who want to get their practice on before teaching a lesson in Spanish. It is also great for those who are at an intermediate level and want to brush up on their skills. You get complete lessons and vocabulary. This lovely compilation of activities was put together by a teacher who must be just as cool as I am, and who loves technology. You can learn more than one language using Digital Dialects. This is just the Spanish version, but you can learn a plethora of others, including German, French, Japanese and much more. Even if you use this site as a hobby, or just to learn incidentally, I guarantee that you will leave with plenty of information to think about. 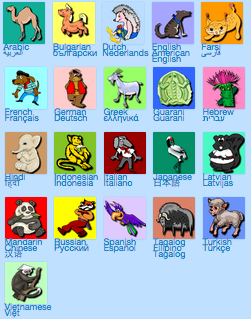 Another multiple language site, Hello-World (make sure you add the dash in the middle of the two words or else you’ll end up somewhere else) will give you full immersion exercises and many opportunities for repetition and application. 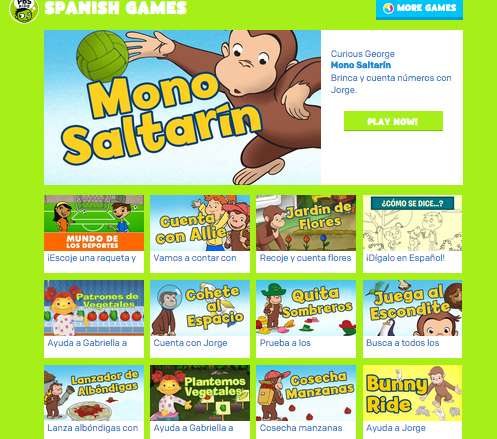 Using Curious George as their anchor character, PBS kids offers plenty of games in Spanish. 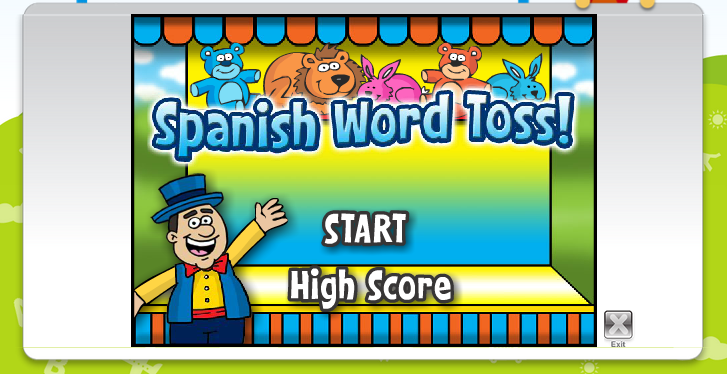 Keep in mind, these are mainly games for kids who already speak Spanish. Used as a full immersion center, this site could prove very helpful. 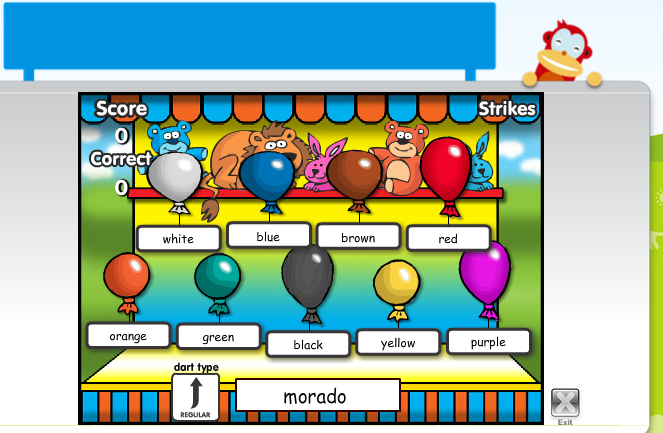 This game is awesome to practice vocabulary. I usually choose the SP to ENG option. 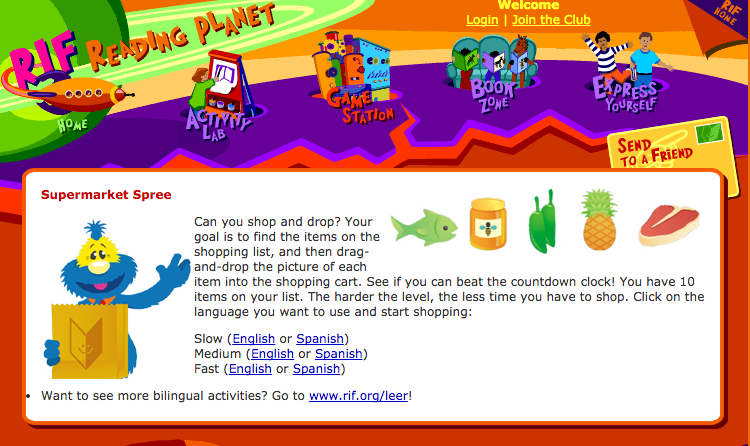 It has other categories such as animals, clothes, months, days of the week and numbers –among others. Need help learning how to say the names of food? 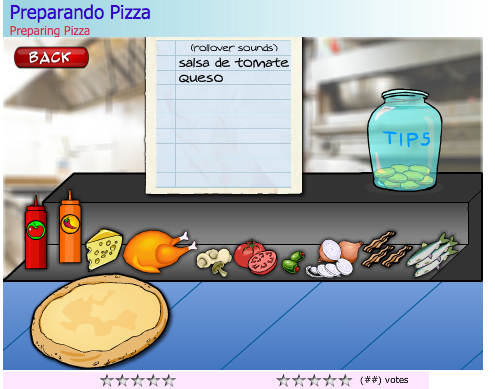 Wish to learn how to order food? Here’s a site for you. It is a speed game, and unfortunately it does not have any verbal cues. 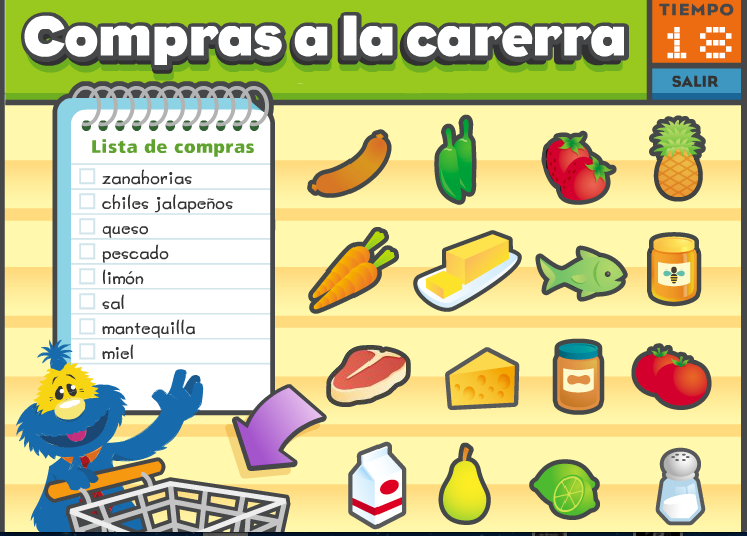 However, if you wish to practice your foods, this will help you prevent starvation in a Spanish Speaking country. CHEAT SHEET for High School /College Spanish! Ask and thou shalt receive! I found this little cheat sheet quite useful for college and high school Spanish learners. There is nothing more complicated than to conjugate a verb in Spanish. I am a native speaker and I still stick to my reading because I do not want to lose it. Just enter your information and the translator will help you with grammar much more so than a translator alone. Stay tuned for my next installment where I will bring more high school and college practice sites with homework help and additional documents for practice.